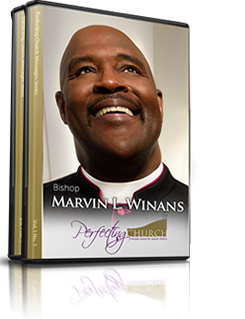 Welcome and thank you for visiting Perfecting Church online. Our new site offers features that will keep you spiritually enlightened and apprised of the many events and activities that will take place at Perfecting Church. You will be able to reference preached sermons, order products, check out Perfecting Church departments, submit prayer requests, give online, view photo galleries, read praise reports and view a calendar of events. As disciples of Christ, it is our duty and obligation to spread the gospel. This is just one of the many tools that we are leveraging to reach the masses. It is our hope & prayer that you'll embrace this tool and take advantage of its resources. We believe God for the miraculous and earnestly pray for the saints and churches everywhere. I pray that God imparts a fresh anointing in your life as outlined in Ephesians 1:17-18, which reads: "17) That the God of our Lord Jesus Christ, the Father of glory, may give unto you the spirit of wisdom and revelation in the knowledge of him: 18) The eyes of your understanding being enlightened; that ye may know what is the hope of his calling, and what the riches of the glory of his inheritance in the saints." Again, thank you for visiting the site, please share it with your friends and loved ones. Grow in righteousness and be encouraged through our Lord and Savior Jesus Christ.